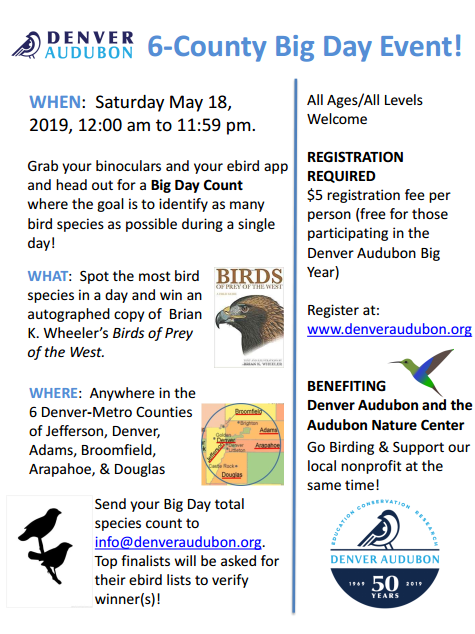 Denver Audubon’s 6-County Big Day! Identify bird species in any/all of 6 Colorado counties – Jefferson, Denver, Adams, Broomfield, Arapahoe, and/or Douglas​. At the end of the day email your eBird list and send to Denver Audubon at info@denveraudubon.org so that we can verify winners.